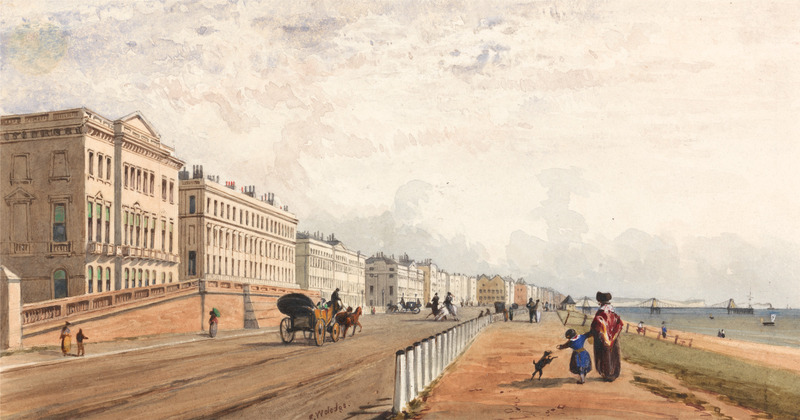 Brighton in the early 19th century: where Barbara Wilberforce gave birth to Henry in 1807 and Marianne Sykes Thornton died in 1815. 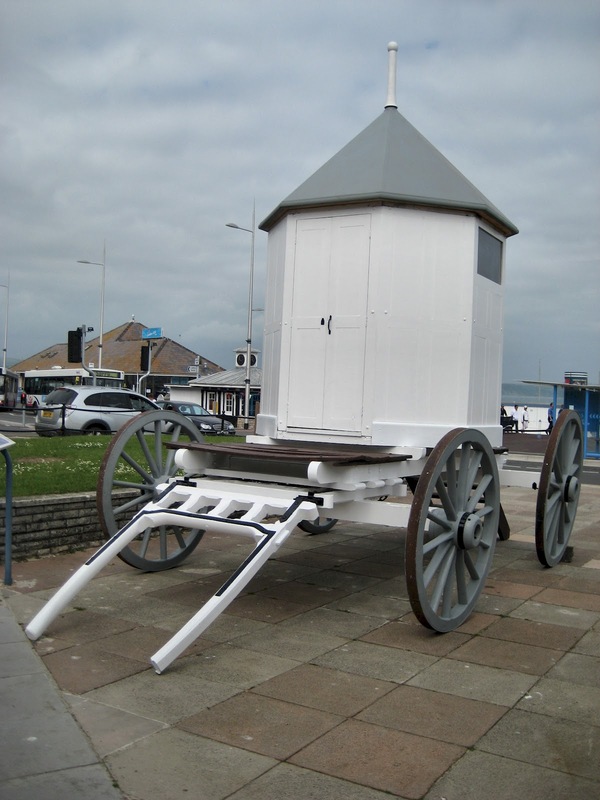 A replica of George III’s bathing machine at Weymouth. Little Marianne Thornton would have used something very similar. Seaside holidays enabled busy men to take time off work and have what we would call quality time with their families. Wilberforce renewed his contacts with his adolescent sons, who, during the busy parliamentary session, had become almost strangers to him. And, the Clapham Sect being what it was, families like the Wilberforces and the Thorntons saw holidays as an opportunity to do good to the local poor, and, ideally, convert them to evangelical Christianity, though they had little success with the smugglers they encountered. Clapham friends sometimes took holidays together. In August 1799 Henry and Marianne Thornton, and their little daughter, Marianne, were on holiday at Christchurch in Dorset, where they were joined by Hannah More. They stayed at a large house near the historic Priory. It boasted conservatories and grape houses, though, as More told Eva Garrick, it had the disadvantage of being two miles from the sea (Folger Shakespeare Library, Washington DC, W.b.488, fox 13-14). However, they were able to make frequent visits to the beach. Little Marianne, then aged sixteen months, bathed three times a week, though she was frightened by the rather fierce bathing-woman. She was only reassured when her good-natured nurse took off her shoes and stockings and walked into the sea with her (Cambridge University Library, Thornton Papers, Add7674/1/L2, of. 35). In the following year the Thorntons were at the quiet seaside resort of Bognor with the Wilberforces. They now had a second child, Henry Sykes, who must have been conceived during the previous year’s holiday, and the Wilberforces had their two small children, William and Barbara. Little Marianne was now more confident about bathing, allowing herself only ‘one short cry’ before she settled into the water (Thornton, Add7676/1/L2, of. 95). The weather was fine, and baby Henry spent most of the day on the beach with his wet-nurse. (It was a great grief to Mrs Thornton that she was not able to feed him herself.) Henry Thornton, who may already have been incubating the tuberculosis that was to kill him, improved in health and energy, and it was on this holiday that the Thorntons’ second daughter, Lucy Jane, was conceived. In one respect, however, the Thorntons were unlucky, as both these holidays were disrupted by illness. Hannah More fell ill with the gallstones at Christchurch and for a while they thought she was going to die. At the Bognor holiday, Barbara Wilberforce, who was pregnant, became dangerously ill with a high fever and delirium, possibly typhus that she might have picked up at an inn on the journey. Both women were to recover, but it was a reminder of the precariousness of life in an age without antibiotics. William Wilberforce does not seem to have visited the seaside before his marriage, but once he had a family, he took annual holidays there. In 1804 they were at Lyme Regis, where they may have met Jane Austen. In 1808 they were at Eastbourne with the Thorntons, where, as Wilberforce confided to his sister, Sally, he found the children’s ‘incessant din’ ‘a little wearing’ (quoted Stott, Wilberforce: Family and Friends, p. 165). Their holidays between 1812 and 1814 were spent at Sandgate on the Kent coast, a pretty resort that boasted, in Wilberforce’s words, ‘hot and cold sea baths, library, billiard table, ponies, donkeys [sic], as well as (this being wartime) six Martello towers (Stott, Wilberforce, p.165). At their first holiday there the four boys (William, Robert Isaac, Samuel, and Henry) played on the beach with a toy boat, until ‘some Low Boys’ came along to join in. The play turned rough and the boat was sunk (Stott, Wilberforce, p. 167). But this was a minor set-back compared with the family tensions brought about by young William’s behaviour; he was rude to his mother and over-bearing to his siblings. Holidays could be a release from problems, but they could also bring them out into the open. As well as being a place of recreation, the seaside could be a place of death. 1815 was a catastrophic year for the Thorntons. In January Henry died of tuberculosis, and by the late summer it was clear that his widow, Marianne, was dying of the same illness. She left her home at Battersea Rise for the last time, accompanied by her eighteen-year-old daughter, Marianne, and the pair travelled by slow stages to Brighton in the faint hope that the sea air would bring about a recovery. The place was hot and noisy and they had problems finding a suitable house – the Prince Regent had come down and there were few lodgings to spare. When she was finally settled, Mrs Thornton spent her last days receiving old friends and making her will. Wilberforce was among those who came to be with her. On the first night after his arrival he walked along the beach with young Marianne trying to help her plan for her future. Mrs Thornton died just before midnight on 12 October, and her body then made its slow way back to Clapham, where it was laid to rest in the family vault. 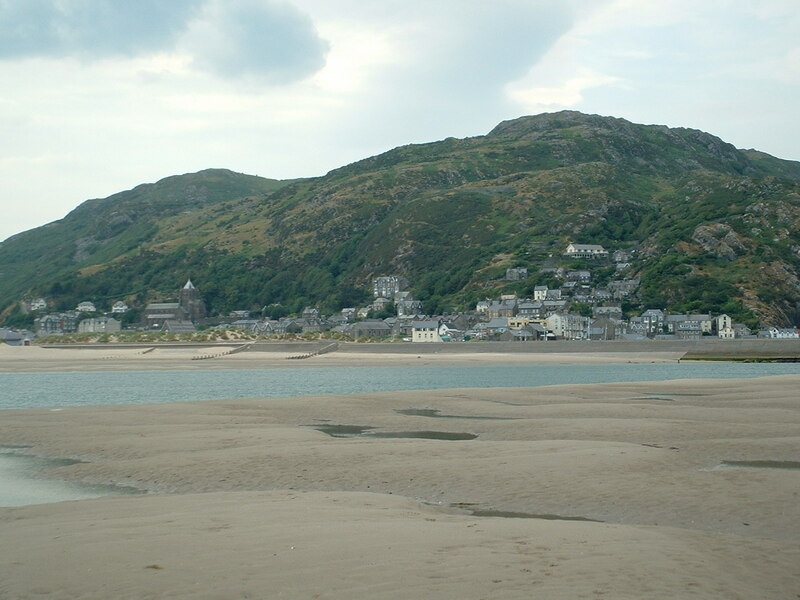 Barmouth, showing the fine beach along which Barbara Wilberforce took her daily pony ride. The last major Wilberforce family holiday was spent at Barmouth in Wales. This was not wholly successful: various members of the family fell ill and the wind and rain spoiled Barbara Wilberforce’s rides on the beach. Robert and Samuel left for Oxford half way through, and Elizabeth, the surviving daughter, was left feeling depressed by their absence. The atmosphere was lightened by the presence of the Wilberforce grandson, little William, then aged twenty-one months, but he turned plaintive once his uncles had left. The family were to make no more difficult journeys to the seaside. By the early 1820s, several things had changed. The Clapham children had grown up and were less likely to go on holiday with their parents. And the ending of the war with France meant that it was once more possible to go abroad. Following the deaths of her parents, Marianne Thornton made three visits to the Continent, accompanied by kindly adults who wanted to help her through her double bereavement. Robert and Samuel Wilberforce made their own continental tours. The elder Wilberforces now only visited the seaside when they went to stay with their son, Samuel, the rector of Brighstone on the Isle of Wight. And, as a sad coda to the story, it was at Brighstone that Wilberforce’s beloved daughter Elizabeth, died in 1832 of the tuberculosis that had already killed the Thorntons. Sea air, it seemed, could not cure deadly illnesses. This entry was posted in Clapham Sect and tagged Barbara Spooner, Barmouth, Bognor Regis, Brighstone, Brighton, Broadstairs, Christchurch, Hannah More, Henry Thornton, Marianne Sykes Thornton, marianne thornton, Sandgate, Sidmouth, William Wilberforce, William Wilberforce junior. Bookmark the permalink.